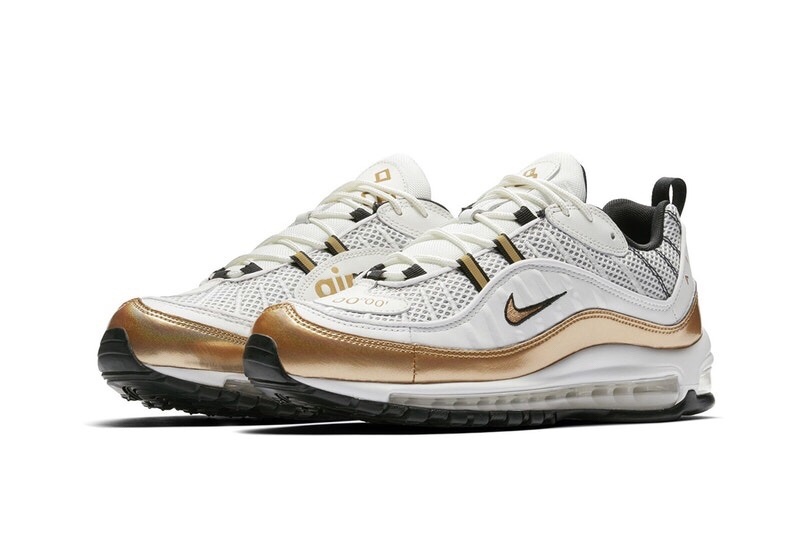 Nike just revealed their new Air Max 98 “UK” edition in white x gold to celebrate its 20th year in the sneaker game. In the sneak the color white dominates by landing on the mixed-material upper and midsole, while little touches of gold feature all throughout. Dope or Trash?